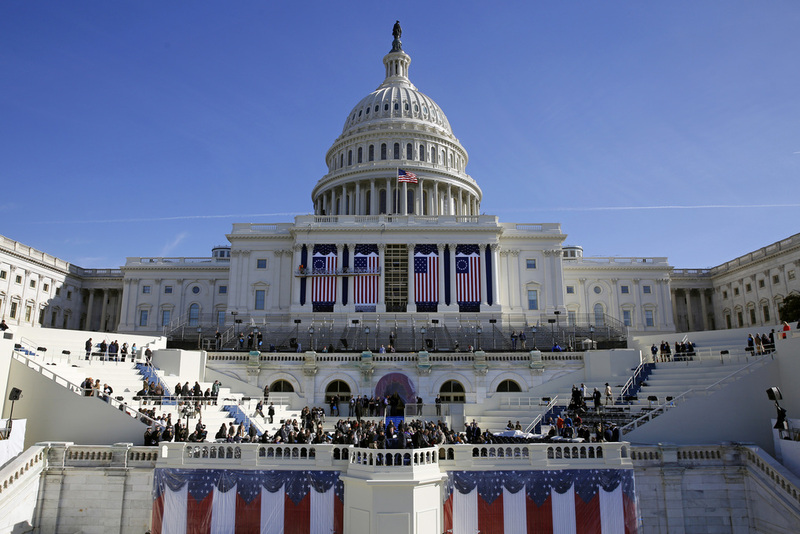 In my lifetime, there have been 17 Inauguration Days plus two swearings-in (one after the assassination of John F. Kennedy and the other after the resignation of Richard M. Nixon). These special days are often filled with excitement, the prospect of change, the hope of unity in an often-divided country, and a sigh of relief from many that our democratic process continues to work after two-plus centuries. Then, there is "politics", a word that, for some, is a epithet for something unseemly and obscene. If one pays attention to the machinations of Washington politics, it can leave you with a sour taste in your mouth. The press does its best (many would disagree with that statement) to let is know what's going on but there is so much happening at any moment. Yet, it is quite obvious these days that the United States is a divided country, that "conservative" and "liberal" as well as "party politics" is part of what looks like a big game, a game with obscene payouts for the lucky and agony for the losers (think of how healthcare is constantly tossed about in the House of Representatives and the Senate). How artists look at this nation has, for me, always been a fascination. From the populist anthems of Irving Berlin to the wide-eyed wonder of George Gershwin to the sly observations of Will Rogers to the dreams of Woody Guthrie to the inequalities reported by Billie Holiday to the satire of Randy Newman to the simmering anger of Nina Simone to the shouts of Public Enemy to the chest-thumping of Toby Keith to the clear-eyed visions of Gil Scott-Heron (and so many others), singers and songwriters speak to social issues by cutting to the emotional core of any situation. During the most recent Presidential election cycle, artists took a stand for or against the candidates with a ferocity one has not seen since 1968 and 1984 (also, the Bush years post 9/11/01 were filled with vitriol as well as unqualified praise). President-elect Trump (who will be sworn-in just hours from when I am writing this) has certainly polarized this country (in many peoples eyes, President Obama did as well) but many reactions have bordered on the apocalyptic. At least, there was "hope" in the changes his predecessor spoke of but that has been replaced by fear, the fear of moving backwards, that the "great again America" being spoken of is one where women, minority groups, and immigrants will not be treated with the "equality" our Forefathers hoped for (dreamed of) when the United States was in its infancy. Mobilization against the changes being sought has been swift (we'll wait and see how strong it is) and artist's reactions are beginning to emerge. 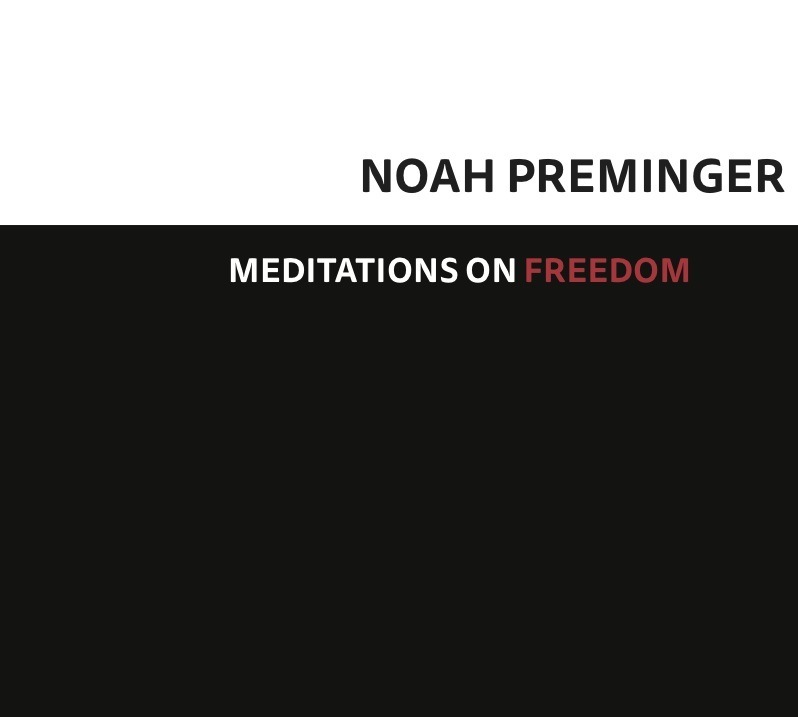 Five weeks after Election Day, saxophonist and composer Noah Preminger gathered the other members of his most recent Quartet - trumpeter Jason Palmer, bassist Kim Cass, and drummer Ian Froman - to record his musical reactions to the results. "Meditations on Freedom" (Dry Bridge Records) features melodies by Bob Dylan, Bruce Hornsby, George Harrison, and a particularly handsome reading of Sam Cooke's "A Change is Gonna Come" plus five originals. Is this music a call to action, a wake-up call, a lament, a warning shot across the bow or just dreaming out loud? One could answer "yes" to every part of that question but the album - released today (January 20) - is more than that. It's a reminder that the musicians are citizens, that creative music is "political" more often than not, that the "freedoms" stitched into these performances are as vital as picket signs and fiery speeches, that the rhythms of these songs are built from the ground up; the formation of this quartet to play this music is really the creation of a community built on shared visions, on trust, on taking risks as musicians, on compromises built from honest discussion. This is music also built on the belief that "We Shall Overcome", that this country has "overcome" in the past and will again in the future, that we as individuals and communities have the ability to pull ourselves up and face any challenge. There is no question that the United States faces challenges within and without but also no question if we face these challenges together, the results should be better. 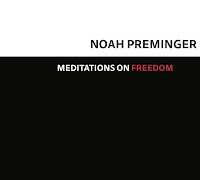 In a future post, I will explore the music one hears on "Meditations on Freedom", especially the original material that grows stronger in my ears on every time I listen. While the impetus for these songs and performances was a reflection on the elections, the album also serves as a call to action, a powerful reminder that we must be ever vigilant and protect the rights of all people who live here, work on our farms, in factories, in our cities, people who raise families and educate them, to all who suffer from illnesses, from poverty, from oppression; in other words, protect the rights of everyone not just a privileged group who can afford it. It should come as no surprise that this music also has its roots in the "blues", music created out of oppression that spoke of the glory of freedom, music that is both simple and complex, that pushes individual boundaries yet speaks to our humanity.